View from the Gallery Cafe verandah at Tweed River Art Gallery. 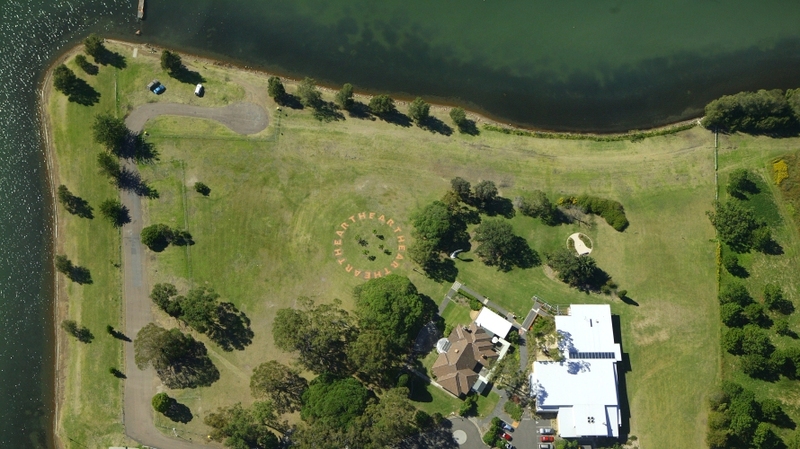 Aerial view of the Sculpture Park at Lake Macquarie City Art Gallery. Art Gallery foyer at Blue Mountains Cultural Centre. Photography by Robert Walsh. Front of House II 2009. Photo: Clare Lewis. The Regional and Public Galleries Association of New South Wales represents over 40 member galleries, all of whom are non-profit organisations intent on making important contributions to the cultural life of their regions. 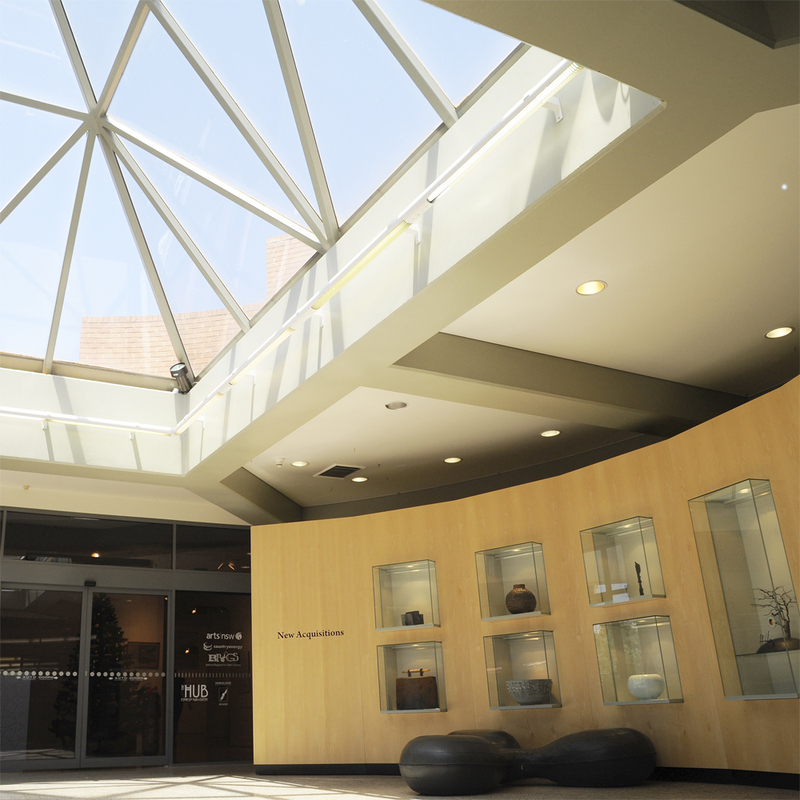 Regional Galleries are located right throughout the State, and not always in the larger centres. Nearly all have been established because of the lobbying of community members who wanted a professional facility to house existing local collections, and to show the best local, national and international art to communities deprived of the opportunity to see art regarded as an important part of life in the metropolitan centres. 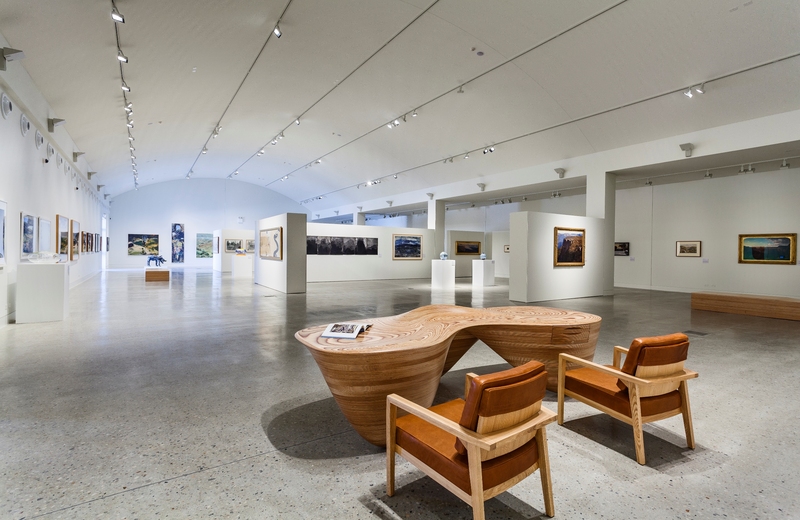 The oldest of the New South Wales Regional Galleries was established in 1904 in Broken Hill, now there are more than 40 spread across the state. The Regional Galleries of Australia are almost unique in the world, and demonstrate the great love Australians have for the visual arts. Artists tend to thrive in the areas where there is a Regional Gallery, and there is an argument that shows that where a Regional Gallery is established, there will soon be new restaurants with fine food, coffee and regional specialty produce on offer from local suppliers. promote the conservation and development of public collections of visual arts, craft and design related cultural material. The Regional and Public Galleries Association are currently redeveloping their website.